The Games on Demand version supports English, French, Italian, German, Spanish. 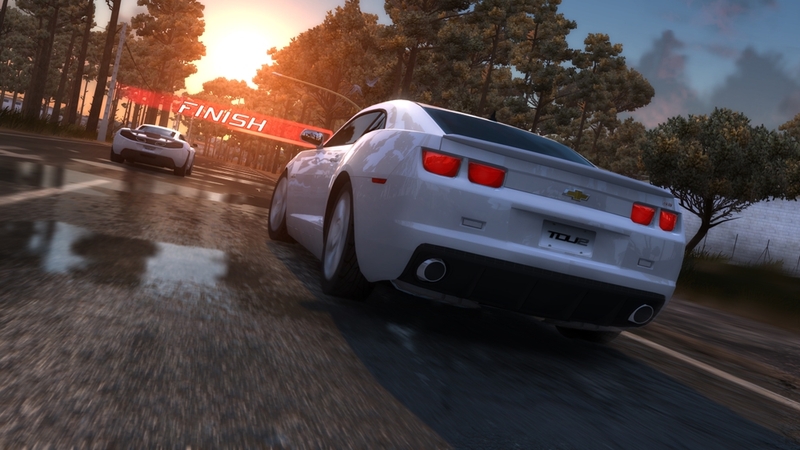 Chase glory from behind the wheel of the most exclusive performance cars and take the race online to challenge rivals around the world. Customise your life as you tear through the streets and kick up dust off - road on the sun - kissed islands of Ibiza and Hawaii. 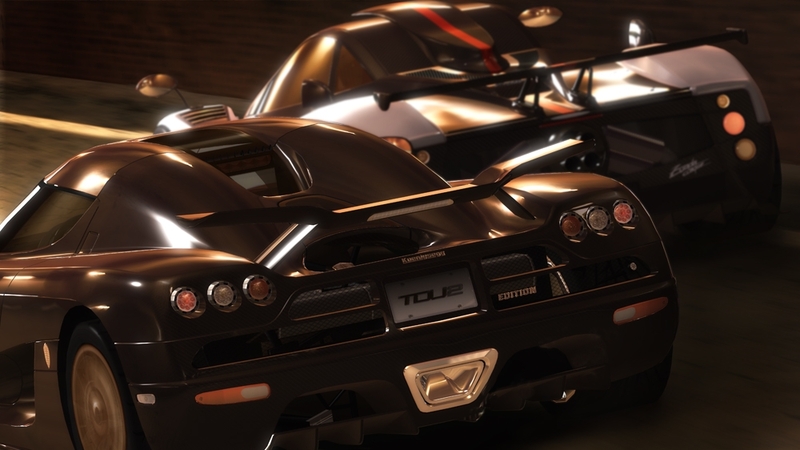 This special offer delivers all 15 cars released prior to DLC2 at a special low price. If you're looking to access all the content in the game, this is the best value to complete your collection (now you just need that 15 car garage!). 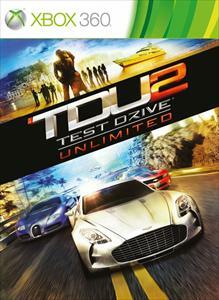 Bundle includes Audi Q7 V12 TDI Quattro, Audi RS 5 Coupé, Bugatti Veyron 16.4 Centenaire, Bugatti Veyron 16.4 Grand Sport Sang Bleu, Bugatti Veyron 16.4 Super Sport, Chevrolet Camaro Synergy Special Edition, Ford Shelby GT500. Aston Martin DBS Carbon Black,Aston Martin V12 Vantage Black, Ferrari 599 GTB Fiorano China Edition, Ferrari 612 Sessanta, Jaguar XKR Speed Pack and Black Pack, Pagani Zonda Tricolore,Caterham Superlight R500 and Nissan 370Z. Cars Sold Separately! This special offer delivers SEVEN of the finest vehicles produced in the US and on the Continent, including premier manufacturers like Bugatti, Audi, and Shelby. 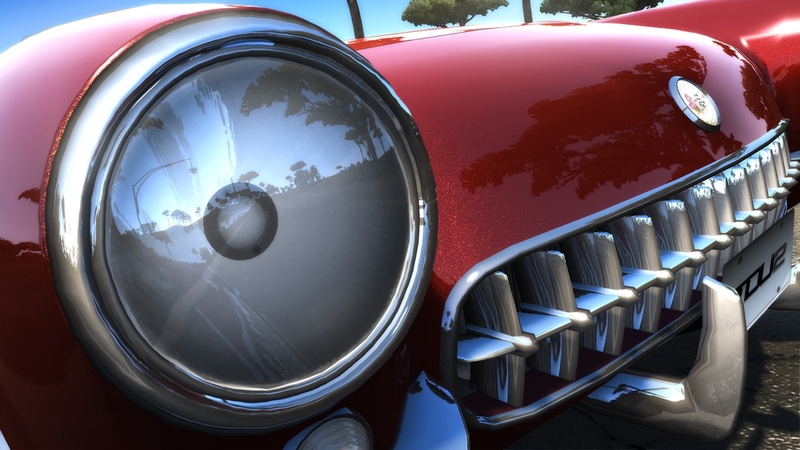 .Car pack includes previously released cars, Audi Q7 V12 TDI Quattro, Audi RS 5 Coupé, Bugatti Veyron 16.4 Centenaire, Bugatti Veyron 16.4 Grand Sport Sang Bleu, Bugatti Veyron 16.4 Super Sport, Chevrolet Camaro Synergy Special Edition, Ford Shelby GT500. Cars Sold Separately! This special offer delivers SEVEN of the finest vehicles produced in Great Britain and Italy, including premier manufacturers like Ferrari, Aston Martin, and Jaguar.Car bundle includes previously released cars, Aston Marton DBS Carbon Black,Aston Martin V12 Vantage Black, Ferrari 599 GTB Fiorano China Edition, Ferrari 612 Sessanta, Jaguar XKR Speed Pack and Black Pack, Pagani Zonda Tricolore,Caterham Superlight R500 Cars Sold Separately! Test your luck on Roulette and several different types of Slot machines. Confront other players at Poker Texas Hold’em and participate in tournaments. 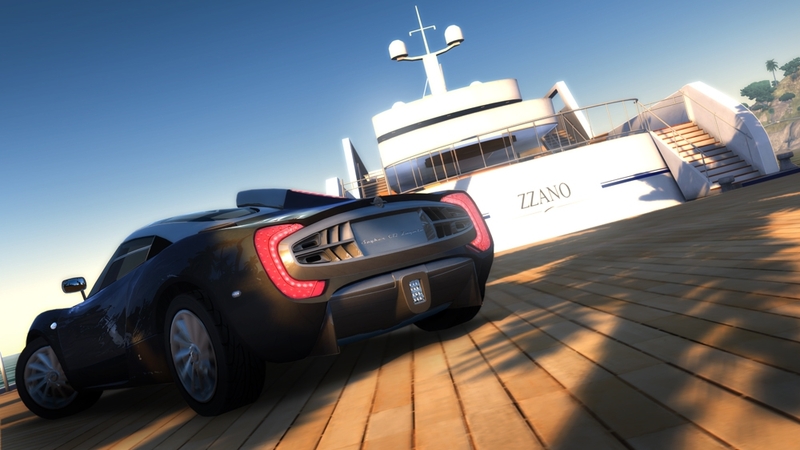 Be the best driver on the Casino Island races! 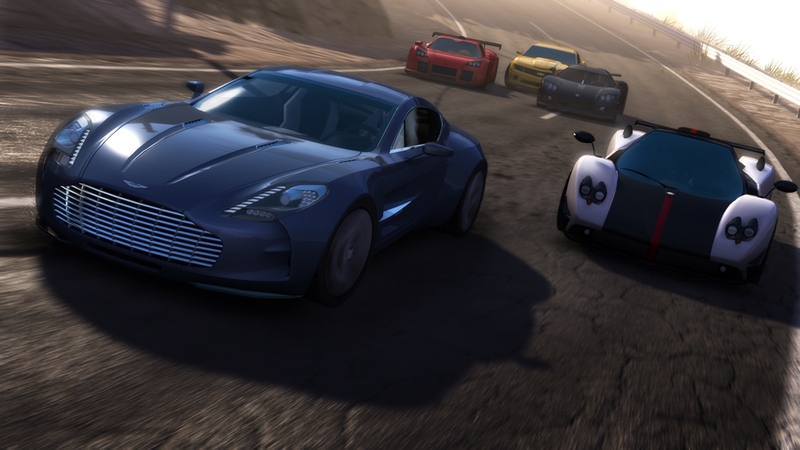 Compete to unlock TWO EXCLUSIVE CARS: an Audi R8 Spyder 5.2 FSI quattro and a Spyker C8 Aileron Spyder. Win other exclusive prizes: furniture for your house, stickers for your car and clothes for your avatar. This game gives access to 10 new levels of progression. You must have an online account to play. Up to 32 players all together. HDD space required: 250 MB. The XKR speed pack increases maximum speed from 155 mph to an awe-inspiring 174 mph. In addition, the Black Pack is a sleek, black custom package that includes a unique, aerodynamic body kit with front splitter and larger rear spoiler, body colored rear signature blade and diffuser, side sill extensions, gloss black front grilles, air intakes and 20” Kalimnos gloss black alloy wheels. An “XKR” side graphic has also been added. An exclusive shirt for your avatar is also provided with this model. Pick up this car in the Used Car dealer. The item of clothing will be available in your dressing room. A bright yellow 370Z with big, black graphics. Taking design cues from Nissan’s European GT4 Series cars, the Yellow gets the aforementioned colour scheme and graphics together with a set of 19″Rays Alloys. The inside is all black leather and Alcantara. An exclusive shirt for your avatar is also provided with this model. Pick up this car in the Used Car dealer. The item of clothing will be available in your dressing room. The Sang Bleu was commissioned to honor the 100th anniversary of the Bugatti marquee. It features blue carbon fibre with polished aluminum. The rims are inspired by the Grand Sport Roadster and highlighted in a midnight blue with a diamond cut two-tone finish. The interior is trimmed in newly developed Gaucho leather. An exclusive leather jacket for your avatar is also provided with this model. For the V12 Vantage the iconic Aston Martin side strake has been fashioned from real carbon fibrebacked by a black mesh and complimented with gloss black 10 spoke diamond turned alloy wheels. Lightweight seats formed from carbon fibreand kevlaralso feature together with piano black faciatrim, centre stack and centre console. It also has anodisedblack tread plates and unique sill plaques build on the carbon theme. A dedicated jacket for your avatar is also provided with this model. Pick up this car in the Used Car dealer. The item of clothing will be available in your dressing room. Specifically created for the Chinese market this model features an exclusive porcelain paint color, an exclusive leather interior and a redesigned dashboard. An exclusive leather jacket for your avatar is also provided with this model. Pick up this car in the Used Car dealer. The item of clothing will be available in your dressing room. The carbon edition features a bespoke Carbon Black color scheme, distinctive carbon fibre details, black mesh components, and high polish black 10 spoke diamond turned alloy wheels. A bright finished grill and front parking sensors complete the exterior detailing. An exclusive sweater for your avatar is also provided with this model. Pick up this car in the Used Car dealer. The item of clothing will be available in your dressing room. The Synergy Green exterior color is accented by Cyber Grey Rally Stripes. The color scheme is mirrored on the interior, with Synergy Green instrument panel and door inserts. Synergy Green stitching also accents the Jet Black cloth seats, steering wheel, shift knob and center console. An exclusive leather jacket for your avatar is also provided with this model. Pick up this car in the Used Car dealer. The item of clothing will be available in your dressing room. Stripped to the bare essentials, all unnecessary comforts are removed to save weight and reduce mass. The original R500 was legendary, with the old Rover K-series powered machine rewriting performance records for 0-60mph and 0-100-0mph times. This new variant has been equipped to supersede its predecessor by embracing the very latest in lightweight engineering techniques and technology. If you want a pure driver’s car that delivers blistering on-road performance, raw driving thrills and outrageous track-day ability in equal measure then the Superlight R500 is for you. Hold on tight. Pick up this car in the Used Car dealer. This model features an exclusive and unique paint job. An exclusive shirt for your avatar is also provided with this model. Pick up this car in the Used Car dealer. The item of clothing will be available in your dressing room. The car is capable of speeds up to 196 mph and can reach 60 mph in just 4.2 seconds. This grand tourer is unique as a true 4 seater with adequate space in the rear seats for two adults. Only sixty of these rare masterpieces were built (60 units) to commemorate the 60th anniversary of the company. Pick up this car in the Used Car dealer. The rebirth of a legend, this reinvented Shelby delivers classically inspired styling and a supercharged engine. 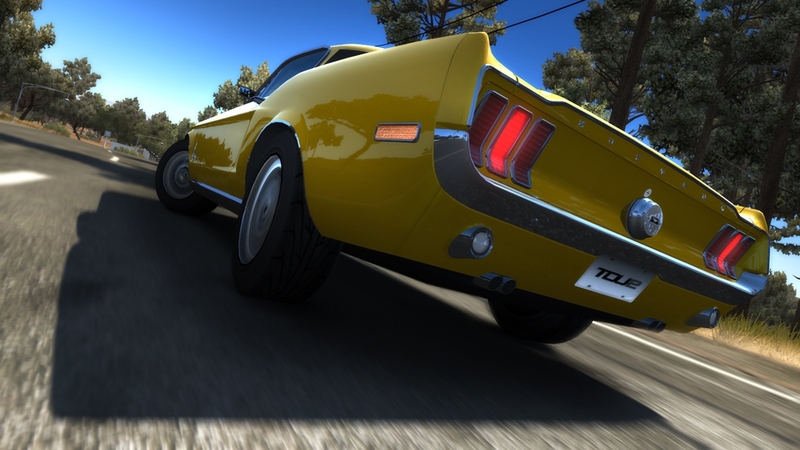 The rear-wheel-drive Ford Shelby GT500 is one of the all-time greatest muscle cars ever to hit the pavement. Pick up this car in the Used Car dealer. This supercar has been clocked as one of the fastest production vehicles in the world, setting a previous street record at 267.86mph. The Supersport packs an impressive 1200 HP that can launch this fireball from 0 to 60 in 2.2 seconds. Pick up this car in the Used Car dealer. This model features black carbon fibre with polished aluminium with unique rims which were inspired by the historical Bugatti models. The interior has both a new and unique colour combination and the addition of a logo. An exclusive shirt for your avatar is also provided with this model. Pick up this car in the Used Car dealer. The item of clothing will be available in your dressing room. Tremendous power packaged in a classically elegant coupe body: Audi introduces the Audi RS 5 Coupé. The high-revving 4.2 liter V8 delivers 331 kW (450 hp), yet is amazingly fuel efficient. The seven-speed S tronic and an innovative center differential in the quattro drivetrain transmits power to all four wheels. Developed by quattro GmbH, the Audi RS models is the spearhead of the Audi model range. Pick up this car in the Used Car dealer.